Two big games this week. You may have noticed. Assassin’s Creed IV: Black Flag first, if only because it started bothering the world on Tuesday. It’s been sailing through a sea of 9s, including Eurogamer, GameSpot and CVG. CVG also lobbed a 9 Battlefield 4‘s way, while Eurogamer and GameSpot went with 8s. 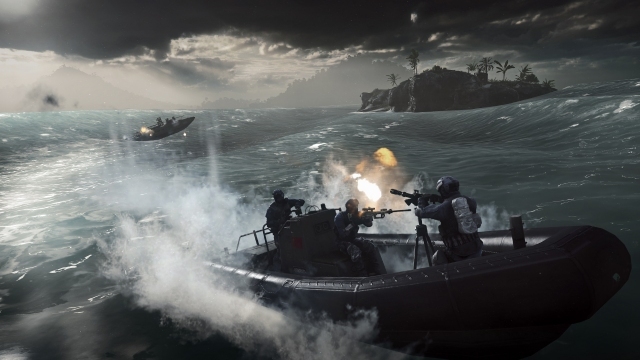 It’s not scientific, but Metacritic had Assassin’s Creed IV a nose in front of Battlefield 4 at the time of writing. Ubisoft and EA will be watching review scores, of course, but they’ll be more interested in sales, and we’ll have to wait until Monday’s chart to see how they’ve done. The smart money’s on Assassin’s Creed IV though, isn’t it? Elsewhere, WWE 2K14 slam dunks onto PlayStation 3 and Xbox 360. Yes, slam dunks – why not? It’s the first WWE game since THQ’s demise, with 2K Sports now at the helm – hence the insufferable year-denoting suffix. It’s in the familiarly safe hands of Yuke’s though, and seems to be going down well with its target audience. In fact, IGN’s 8.7 was higher than they gave either Assassin’s Creed IV or Battlefield 4. It’s not immediately obvious on first look, but Hakuoki: Memories of the Shinsengumi isn’t your standard 3DS game. It’s a Japanese visual novel, but a very well-regarded one on the evidence of reviews of the North American version. We’re getting some sort of limited edition, containing art cards, CD and special packaging. Just before we get to the digital stuff: Angry Birds Star Wars. It’s launching on lots of consoles – Xbox 360, PlayStation 3, Wii U, Wii and 3DS. On, not into. On that digital pile is indie darling Proteus, launching on PlayStation Network for PlayStation 3 and PS Vita. Reviews of the PC release mainly ranged from positive to glowing, but it’s telling that the user reviews on Metacritic are split almost 50/50 for and against. The reason? 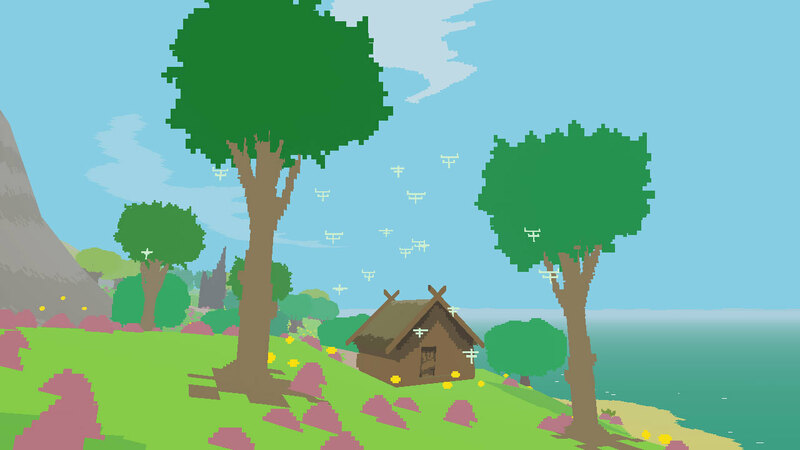 It’s what many would describe as an ‘experience’ rather than a game – or “hipster trash” as obake21 put it. It’s £9.99 – which seems to be a bit contentious, even with a 10% discount for PlayStation Plus members. Now bear with me, because Wii Fit U is a bit needlessly convoluted. A ‘Trial Version’ is on the eShop from 1st November to 31st January – but it’s actually the full game, just with a 31 day limit. It variously uses the Wii Balance Board and Wii U GamePad, and also the new Fit Meter, which monitors your activity, altitude, atmospheric pressure and bowel movements. Not bowel movements. Sorry, concentrate. Sync a Fit Meter with the trial version, and it magically becomes the full version. Alternatively, the paid full version will be available from 1st February, when the trial version will cease to be available. In short: Nintendo really want you to buy a Fit Meter. Twenty quid, incidentally, in black, red or green. 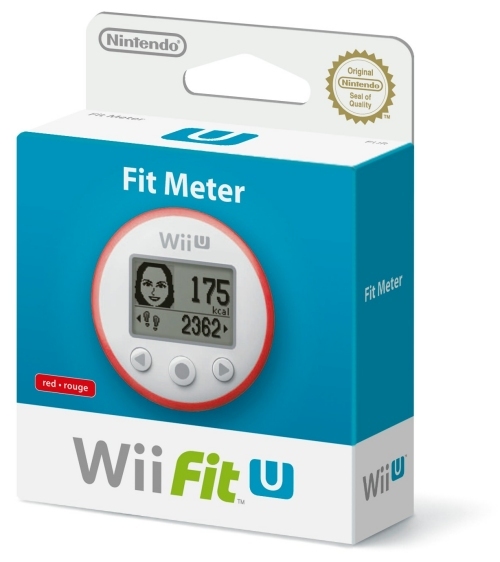 Oh, and if you need another option, Wii Fit U will also launch at retail on 6th December, bundled either with a Fit Meter or Fit Meter and Wii Balance Board. Finally, a couple more from the eShop: Hotel Transylvania on 3DS, and Super Castlevania IV on Wii U Virtual Console. Next week: Call of Duty: Ghosts will be utterly ubiquitous from Tuesday, then on Friday Professor Layton and The Azran Legacies and Regular Show: Mordecai and Rigby in 8-bit Land for 3DS, Mario & Sonic at the Sochi 2014 Winter Olympic Games, Sacrilegium, and Castlevania: Lords of Shadow Collection all bundled up for PS3 and 360.